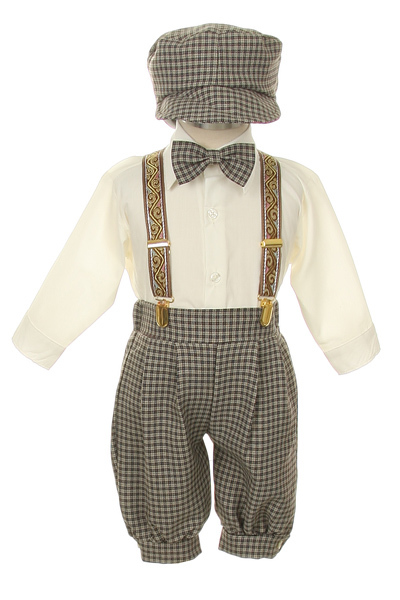 Popular 5 - piece brown checked boy's knicker set with a yesteryear look of the 1920's. This dark brown and khaki/taupe checked knicker set comes in Infant and Toddler sizes. 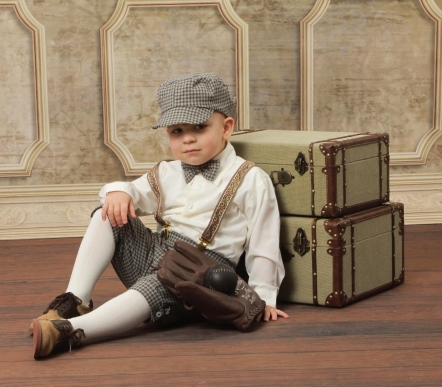 The 5-piece set includes cotton poly ivory dress shirt, bow tie, cap, Tyrolean swirl pattern ribbon suspenders, and the knickers. The knickers are non-wrinkle polyester. The fabric suspenders do not have much adjustment length. Brown elastic suspenders are an optional upgrade and sold separately. The outfit runs small. It is recommended to Order up a size. Note - The areas where this set runs Small are the length of the shirt for keeping it tucked in, and the length of the knicker pants. For little guys that move around a lot, this is especially important. The cap also runs small. 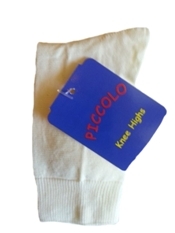 Again - it is recommended to order up a size from what your child usually wears for the best overall fit. 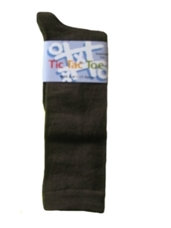 Pair with chocolate brown or ivory knee socks (ordered separately) for a complete look. We also offer brown leather saddle shoes. Shown below and sold separately. Refer to the height / weight chart. Made by Shannon Kids USA. Machine washable. Dry on low.